But the team stayed unworried. …to show you the Lagos you don’t see! Yesterday, 19th February, 2012 witnessed a special mobile hangout hosted by Society HEA (Social Media Week Lagos), powered by Nokia Nigeria, and supported by LagBus (@LAGBUSOfficial), Bogobiri and Gidi Traffic (@Gidi_Traffic), with coverage by Errol Barnett of CNN (inside Africa) and Naijatreks as the Tour Guide Ambassador on board. The tour which featured travel bloggers, journalists and photographers from different countries of the world, took off from Terra Kulture in Victoria Island of Lagos at 10am, snaked through the streets and towering bridges of the city and ended back at the start-off point at about 7pm. Throughout the trip, participants twitted photos and updates on the tourist spots visited. These could be found through #SMWLagosTour and #NokiaSMWLagos. 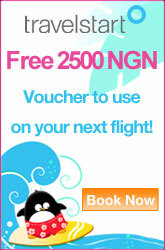 Subsequent posts on Naijatreks shall showcase the wonders of each of the spots visited. Also, Naijatreks shall organize more of such tours in order to promote the culture of adventure travel among the locals, as well as to draw more attention to Nigeria’s tourism potentials. Follow us as we take you on this memorable journey! – At Nike Art Centre, Lekki. – Errol Barnet of CNN Inside Africa on Board the tour Bus.